This is a themed 48 hour jam that runs from 6pm Friday 22nd March until 6pm on Sunday (GMT+1), in order to WIN A PIZZA. There is one large pizza up for grabs this time, delivered to you wherever you live in the world, given to the top 'overall' ranked game. For some reason the game ‘Shadow the Hedgehog’ has bafflingly creative names for its sequences, make a game based on one. E.g. ‘A Monarch’s Style’ could be a game where you have to dress a king. ‘The Lion’s Awakening’ could be a stealth game where you have to not wake a lion. There’s one called ‘Bullets From Tears’! That could be an amazing sadness powered shooter! The theme is not pizza. 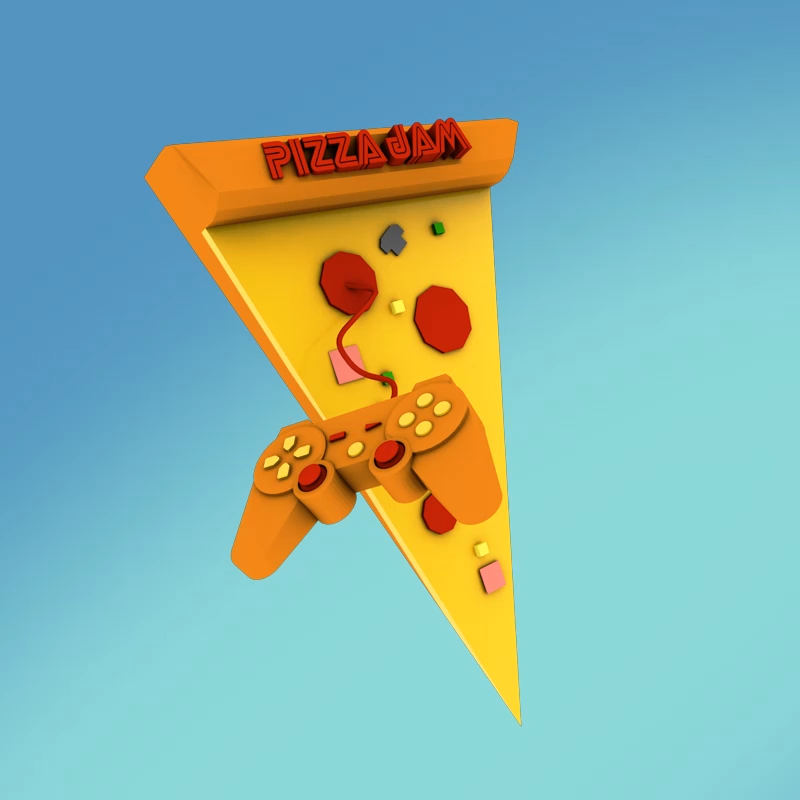 If you make your game about pizza you will be disqualified. I will have a delicious large pizza delivered to your house, no matter where you live in the world. The only stipulation is that I get to choose the toppings. Please just enter whatever you make! Don't worry about perfecting it. Even if your game isnt finished / doesnt work / is just a single screen 160x160 photo of your brother, please enter it! All engines! Any team size! Make everything within the Jam time! If you have any more questions just ask them in the community forum! Or join our discord https://discord.gg/vtzvQYA and you can chat with me about pizzas. 2D Beat them all, with the theme Disciple from the Darkness. A game about shooting your evil robot overlords. A game where you fish. Machines took over the world, and your mission is to take it back! Visual Novel, Pizza Jam 2019 entry. submitted for the Pizza Jam, a short game about being happy and drinking beer. Based on - "Wandering for Eternity"
Can you exit the magic forest or will you be stuck wandering for eternity? This is our submission for the Pizza Jam 2019.
a game about a vampire attack and a very tired woman. This is a simple shooting game, in which your enemy will be yourself in the previous round. Unfinished puzzle game in game jam.